The 2018 Amazon Fire TV Cube 4K Media Streamer drops from $119.95 to $79.99 with free shipping at HSN. If you’re a new HSN shopper, you can apply the code NEW2019 during checkout to take an additional $10 off. 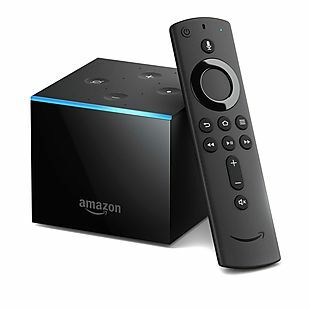 The Fire TV Cube has an Alexa voice remote that can control the power and volume of devices connected to your TV. The Cube itself comes preloaded with all of the apps found in the current Fire TV, and it can stream content in 4K and in HDR.